Settle in to the Gold Coast and relax at Crowne Plaza Surfers Paradise. Towering over one of Australia’s favourite stretches of coastline, Crowne Plaza Surfers Paradise is neatly nestled between the Surfers Paradise entertainment strip and Broadbeach’s local dining scene. Wake up to the sounds of the surf in one of our many ocean view rooms, studios, suites and self-contained apartments, and breakfast on your own private balcony overlooking the beach. During the day, treat yourself and find a quiet spot to take advantage of our waiter service by the two outdoor pools. Watch the sun set over Surfers Paradise from Four Winds 360°, Queensland’s only revolving restaurant, indulge in Cantonese and Schezuan cuisine in SIFU, or immerse yourself in wine at Balthazar Wine and Dining. Crowne Plaza Surfers Paradise is a great place for families, with a full range of flexible accommodation options, facilities and dining options for guests of all ages. When it comes to meetings, Crowne Plaza Surfers Paradise offers the complete confidence that your next event on the Gold Coast will be a success. With 14 function rooms, dedicated business facilities and an experienced and enthusiastic meeting and events team, Crowne Plaza Surfers Paradise is a hassle-free place to host professional meetings, conferences and events. Nothing’s too hard for our down-to-earth team to make your time at Crowne Plaza Surfers Paradise special. 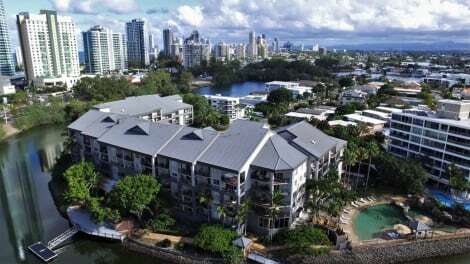 With a stay at this apartment in Surfers Paradise, you'll be within a 5-minute walk of SkyPoint Observation Deck and Surfers Paradise Beach. This apartment is 0.3 mi (0.5 km) from Cavill Avenue and 0.5 mi (0.7 km) from Chevron Renaissance. 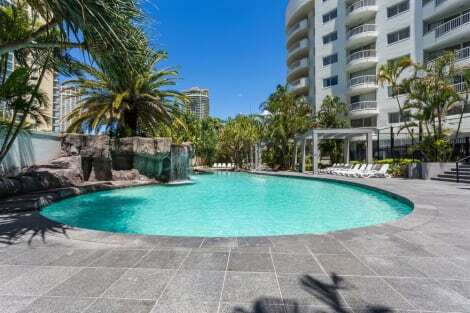 A stay at Marriott Vacation Club at Surfers Paradise places you in the heart of Surfers Paradise, within a 15-minute walk of Chevron Renaissance and Slingshot. 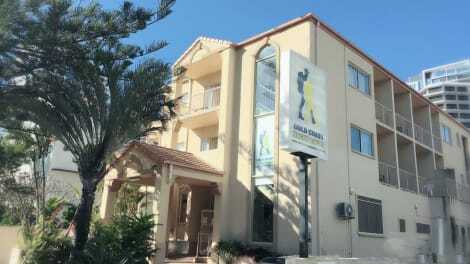 This 5-star aparthotel is 0.6 mi (1 km) from Infinity Attraction and 0.3 mi (0.4 km) from Surfers Paradise Beach. Make yourself comfortable in this individually decorated apartment, featuring a kitchen with a full-sized refrigerator/freezer and an oven. There's a private furnished balcony. Complimentary wireless Internet access keeps you connected, and cable programming is available for your entertainment. Conveniences include a safe and a microwave, and housekeeping is provided daily. Enjoy a range of recreational amenities, including an outdoor pool, a spa tub, and a sauna. This apartment also features complimentary wireless Internet access, an arcade/game room, and tour/ticket assistance. Getting to nearby attractions is a breeze with the area shuttle (surcharge). Take advantage of recreational opportunities offered, including an outdoor pool, a spa tub, and an outdoor tennis court. This apartment also features wireless Internet access (surcharge), an arcade/game room, and gift shops/newsstands. Don't miss out on the many recreational opportunities, including an outdoor pool, a spa tub, and an outdoor tennis court. Additional amenities at this hotel include wireless Internet access (surcharge), concierge services, and wedding services. With a stay at Vibe Hotel Gold Coast, you'll be centrally located in Surfers Paradise, within a 5-minute walk of Cavill Avenue and Chevron Renaissance. This 4-star hotel is 0.5 mi (0.8 km) from Surfers Paradise Beach and 0.5 mi (0.9 km) from SkyPoint Observation Deck. A stay at Mantra Sun City places you in the heart of Surfers Paradise, within a 10-minute walk of Chevron Renaissance and Slingshot. This 4.5-star hotel is 0.6 mi (1 km) from Cavill Avenue and 0.5 mi (0.8 km) from Infinity Attraction. Grab a bite to eat at NOSH Pan Asian, a restaurant where you can enjoy drinks at the bar and dine alfresco. Or stay in and take advantage of the 24-hour room service. Wrap up your day with a drink at the poolside bar. Buffet breakfasts are available daily from 6:30 AM to 10 AM for a fee. 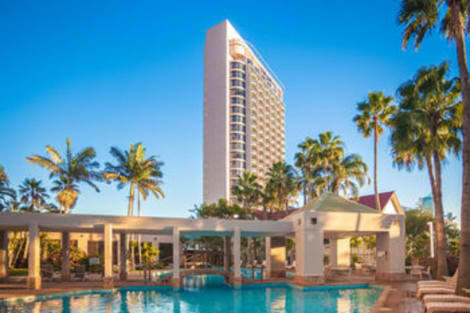 lastminute.com has a fantastic range of hotels in Surfers Paradise, with everything from cheap hotels to luxurious five star accommodation available. 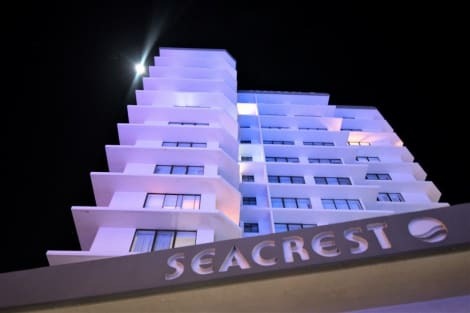 We like to live up to our last minute name so remember you can book any one of our excellent Surfers Paradise hotels up until midnight and stay the same night.